Whether you are suffering mesothelioma or any other cancer that women face, it can be get harder and harder to remember that you are a beautiful person. The truth of the matter is that no matter what your prognosis is, you should be reminded regularly and often, that you are a unique and gorgeous individual. Many women complain that over the course of their diagnosis that they start to feel as though they are simple a condition, rather than a person. Now is the time to stop that negative thinking, and now is the time to reassert you a beautiful, desirable person. One tool that you can use to make yourself feel beautiful is fashion. Whether you love bright bold scarves, daring tops, swishy skirts or adorable shoes, you’ll find that dressing in a way that pleases you is something that can win you back your self-esteem and your own self-regard. Go back to styles that you have experimented with in the past, and don’t be afraid to try new things in your quest to look good. While it might feel frivolous to play with fashion in this way when there are so many other things going on, remember that it is not a frivolous thing to bolster your own self-confidence and your own self-esteem. The National Cancer Institute states that one of the most important parts of dealing with cancer is maintaining the emotional strength and support to get through this life disruption. This means that you need to consider what is going to get your mood up and flying again; take the time to think about how you feel when you know that you are beautiful. No matter circumstances you are facing, think about the high that you get from know how truly beautiful you are. There is a trick to looking beautiful, and it’s that if you think that you are beautiful and if you carry yourself as though you are, other people will see it as well. While clothes, makeup, jewelry and cute shoes are nice, the truth of the matter is that true beauty comes from within. 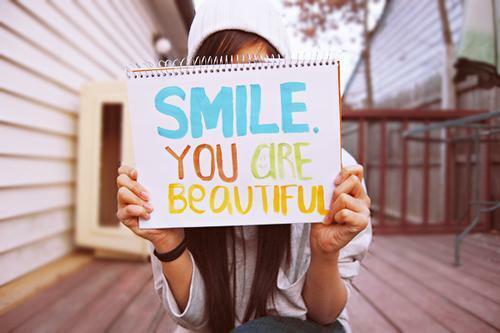 When you start believing that you are beautiful, you will be, no matter what else is going on. Take the time to consider what makes you feel beautiful, and how you can recapture that feeling. At the end of the day, this is something that can help you bounce back faster than ever. Thank you Jackie, for sharing such beautiful and inspiring words with us.. I am so glad you enjoyed my article! Confidence and beauty really inspire woman. We must remember who we are and never allow cancer to define us. I hope your mom is doing well! What a lovely post! Thank you for sharing. It's very inspiring! Wish you the best!